The Belgian Fawn Goat is a breed of dark color goats that was developed in Belgium. These domesticated goats are mainly reared for the production of milk. Their milk is known for good taste, quantity, and nutritional value. 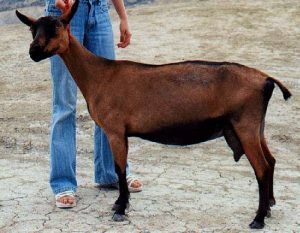 This breed descended from the Chamois Colored Goat, an indigenous breed of domestic goats from Switzerland. The Belgian Fawn Goats are also related and are similar to the Oberhasli Goat breed of the United States. These goats reached USA for the first time by boat.